When dog or animal attacks it can be a shocking experience for everyone involved, our experienced Dog Bite Attorneys will provide you with the counsel necessary to protect your rights. A young child or even an adult can be seriously maimed or killed from a vicious dog bite. 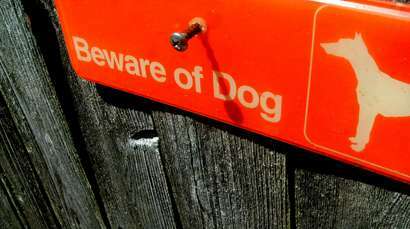 Victims of a dog attack may need to seek medical attention to get antibiotics or reconstructive surgery to correct the damage. They may also need seek psychiatric care to recover from the trauma. If a person is killed by an animal attack, their loved ones may suffer from emotional and mental anguish, loss of companionship or family support. Victims and survivors may be entitled to seek compensation for the damages suffered under the law. Florida dog bite laws address a dog owner’s liability for all of the damages that the dog caused. The owner is generally considered liable if the attack occurs on public property or lawfully on private property. A skilled and experienced Florida dog bite attorney may be able to work with you to investigate the injuries that were sustained through taking pictures of the injuries inflicted, taking witness statements, and obtaining photographs of the dog and/or accident scene when possible. At Swope, Rodante P.A, our attorneys are skilled in working with clients who have suffered catastrophic injuries from a dog or animal attack to recover damages through personal injury lawsuits. They also have experience working with clients who have endured the death of a loved one in wrongful death cases. If you, or someone you love, have been the victim of a dog or animal attack due to a negligent owner and you would like to speak with a representative about your case, please contact us. A 2011 study by Merritt Clifton, editor of Animal People, that compiled dog attacks in the U.S. and Canada from September 1982 to December 2011, found that Pit Bull Terriers and Rottweilers were more likely to attack than other breeds. “If a Pit Bull Terrier or Rottweiler has a bad moment, often someone is maimed or killed – and that has now created off-the-chart actuarial risk, for which the dogs as well as their victims are paying the price,” Clifton wrote. • Request proof of rabies vaccination and get the owner’s name and contact information. • Clean the bite wound immediately. • Seek medical attention as soon after the accident as possible. • Contact the dog’s veterinarian to check vaccination records. • Research your legal rights to recover damages for injuries sustained. • An estimated 4.5 million Americans are bitten by dogs annually. • 885,000 Americans require medical care for dog bite wounds. • Groups that are most at risk include: children, ages 5 to 9, adult males, and people with dogs in their homes. Due to widespread vaccination in the United States, rabies related human deaths are rare. However, rabies vaccination is critical to prevent this deadly infection from spreading through a dog bite and reduce the likelihood that a pet may have to be sacrificed to determine its rabies status. • Never leave infants or young children unattended with a dog. • Don’t encourage aggressive games. • Socialize and train the dog. • Seek professional advice if the dog becomes aggressive.